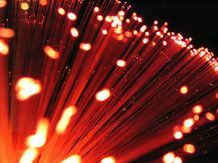 BT Openreach has decided on two of its sites for its fibre-to-the-cabinet (FTTC) pilot scheme, which is to take place next summer. The two boroughs chosen are Muswell Hill in London and Whitchurch in South Glamorgan. A BT spokesperson said about the fibre optic plans: "This is part of our £1.5bn investment in optical fibre deployments, and the sites were chosen in consultation with comms providers, ISPs, Regional Development Associations and because of the topology of the exchange. Basically they ticked all the right boxes." To get the fibre optics into place, there will be a fair bit of digging to do, with approximately 15,000 homes to sort out with cabling, but it does mean that at the end of it, the lucky few who live in these areas will have "headline speeds of up to 40Mbit/s". Nice. This comes after Virgin announced it is to offer speeds of up to 50Mb/s in London this year. We spoke to Virgin Media about the BT news and here is the company's response: "As demand for on-line content and services grows, BT's announcement endorses Virgin Media's long-held view that super-fast broadband is what people want. "Virgin Media is spearheading this roll-out by bringing a cutting edge 50Mb broadband service to some 12 million homes across the UK between now and the middle of 2009. Virgin Media's ability to do this is the result of a £13 billion investment in the UK's cable network."